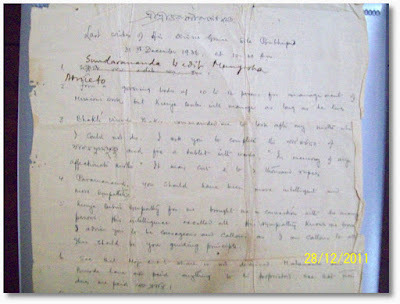 As we were indexing the Sundarananda Vidyabinode collection, we found a single hand written sheet entitled Last wishes of His Divine Grace Srila Prabhupada dated 31st December 1936 at 10.30 A.M. – in effect a record of his will, witnessed by three disciples. Of the thirteen items #2 stands out. It reads: "form a Governing body of 10 to 12 persons for management of Mission’s work, but Kunja Babu will manage as long as he lives." 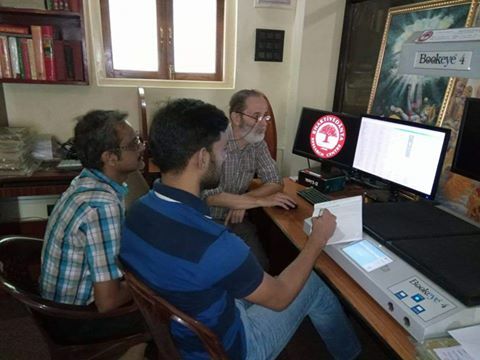 We also found two copies of what was intended to be the second volume of a six volume series entitled Sarasvati Jay Sri, an extensive biography of Srila Sarasvati Thakura. The first volume was published in 1935 but the rest never made it to print. 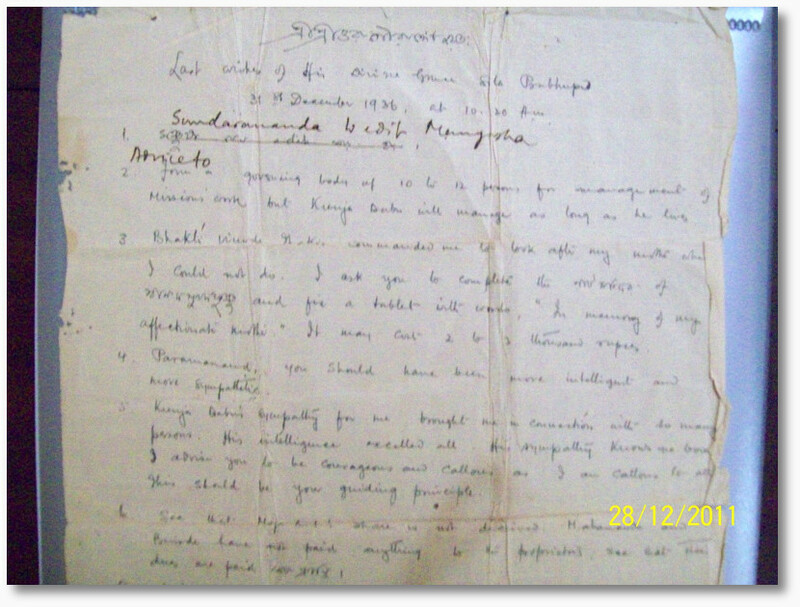 The second volume was printed in draft form and given to Srila Bhaktisiddhanta to correct, but was never published. It comprises of interviews taken with him in which he describes his childhood and upbringing, so it is virtually an autobiography. The BRC will be publishing this work in due course. It includes His Divine Grace’s birth chart, as shown above. 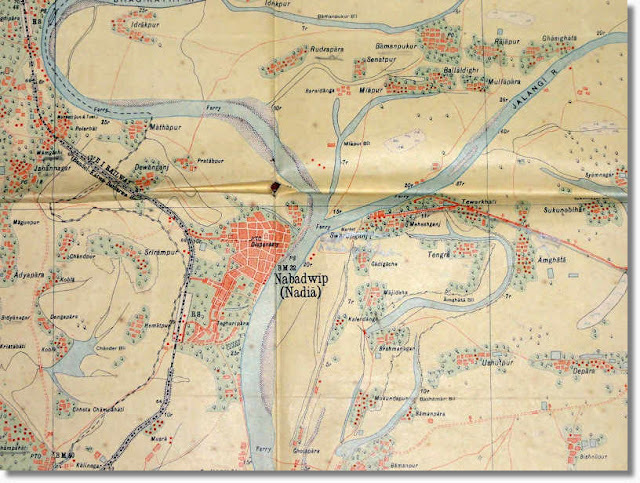 Another bit of nectar we cataloged was this government map of Burdwan and Nadia districts from 1917-18. This is the year that Srila Bhaktisiddhanta Sarasvati Thakura took sannyasa and began his preaching through the Gaudiya Matha. 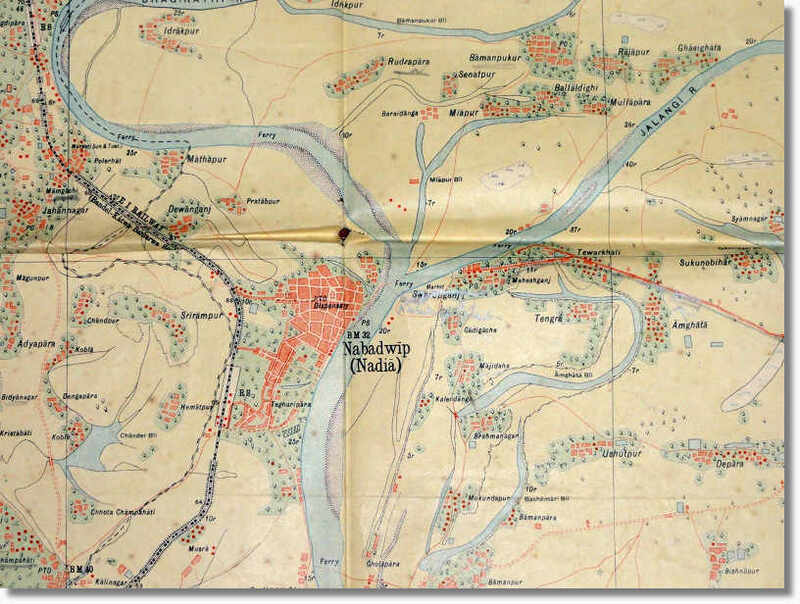 Present day Mayapur was in those days called Miapur bil and was simply rice paddies — seen here above, north of the Jalangi/Ganges confluence. This small collection of books pictured above is the most complete set of astronomical works of Srila Bhaktisiddhanta Sarasvati Thakura we believe to exist. 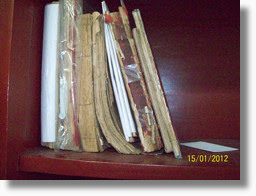 These books do not exist even in Kolkata National Library. 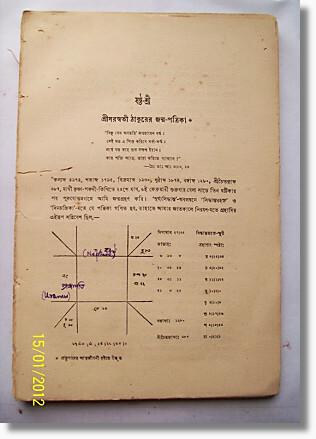 Two of the volumes are bound editions of his astronomical magazine Jyotir Vid. 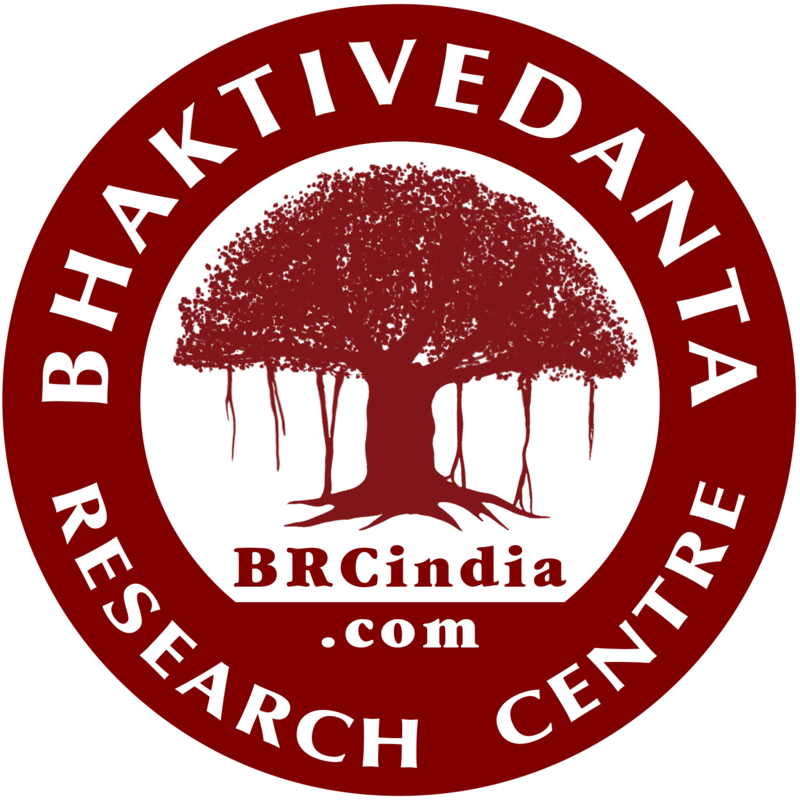 There is also Srila Bhaktisiddhanta’s commentary on Bhaskaracarya’s commentary on Surya Siddhanta entitled Siddhanta Siromani.